Guthrie & Harrison, formerly known as Guthrie & McCaleb, has been at the same address, 3650 Auburn Boulevard, Sacramento, CA, for nearly 50 years. A family-oriented firm, they pride themselves on providing informative, reasonably priced legal services that are attuned to their clients' needs. 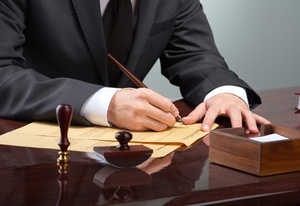 Because many of the dissolution documents and estate documents we handle need to have notarized signatures, we provide a notary public in the office at no extra expense for our represented clients. We can also be retained to simply write a letter for you, as sometimes people respond better to a letter written by an attorney. This service would be determined on an hourly basis. Jerry L. Guthrie has been practicing law in Sacramento for more than 50 years. His practice has been in nearly all areas of law, but his emphasis has been on family law. Mr. Guthrie started Guthrie & McCaleb with partner Philip A. McCaleb, who is now retired, in the 1970s. Mr. Guthrie was an instructor for more than 25 years at Lincoln Law School of Sacramento. He taught in the areas of family law, wills, and trusts and was a favorite of the students. Mr. Guthrie has since retired and is no longer an active Attorney. Elizabeth E. Harrison has been practicing law in Sacramento for more than 25 years. Her practice is in the areas of family law, wills, trusts, and probate. She attended Lincoln Law School of Sacramento while working full time as a fingerprint examiner at the California State Department of Justice. A mother of two grown daughters, Ms. Harrison is well-suited to the practice of family law and has the background and wherewithal to deal with sensitive issues that naturally arise in such a practice. A student of Mr. Guthrie while at Lincoln Law School, she also provides legal services for revocable trusts and the creation of wills. When not at the office, she is happy to be in extensive gardens or creating her textile art, several of which are on display at the office of Guthrie & Harrison. 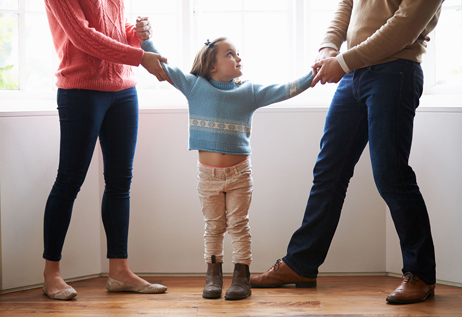 One of our main focus areas is family law. This covers many issues, including divorce, child custody, child support, spousal support, and adoption. 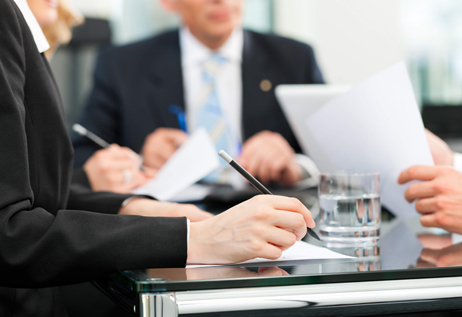 We can represent you in a single matter or single hearing to keep costs low. We also create estate documents. A Will sets out the distribution of your assets after death through court probate. A Revocable Trust also names your beneficiaries but gives you more flexibility during your lifetime and generally avoids probate.